Libero Grassi, a Palermo clothing manufacturer, died on this day in 1991, shot three times in the head as he walked from his home to his car in Via Vittorio Alfieri, a street of apartment buildings not far from the historic centre, at 7.30am. It was a classic Mafia hit to which there were no witnesses, at least none prepared to come forward. Such killings were not uncommon in the Sicilian capital as rival clans fought for control of different neighbourhoods. 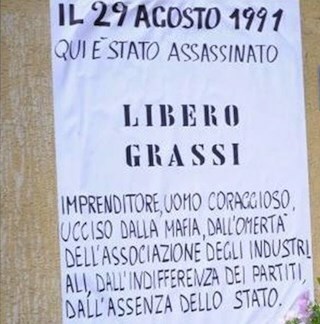 Yet this one was different in that 67-year-old Grassi had no connection with the criminal underworld apart from his brave decision to stand up to their demands for protection money and refuse to pay. 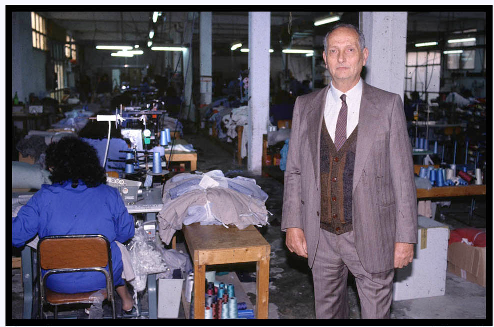 Grassi owned a factory making underwear, which he sold in his own shop. He employed 100 workers and his business had a healthy turnover. In a struggling economy, he was doing very well. Of course, the Mafia wanted their cut. Grassi began receiving demands, first by telephone, then in person, that he fall in line with other Palermo businesses and pay a pizzo, the term used for the monthly payment the mob collects from businesses in the city in a racket worth today in the region of €160 million a year. The penalties imposed for not paying range from vandalism or arson directed at business premises to physical harm and even death. It is little wonder than an estimated 80 per cent of businesses comply, each paying around €500 per month. But Grassi decided he would not pay. Indeed, he was so outraged by the practice routinely accepted as normal that in January 1991 he wrote an open letter in a Palermo daily newspaper denouncing the Mafia and proudly telling the city of his stand. He also gave the names of his would-be extortionists to the police, as a result of which five members of the Mafia were arrested. Grassi was hailed as a hero by the Mayor of Palermo and attracted widespread media attention, even appearing on national television. Yet within the business community there was little support. In fact, Grassi found himself shunned and isolated for attracting headlines that his fellow traders felt did damage to the image of the Palermo business community. Meanwhile, the Mafia continued to make demands and Grassi continued to dismiss them, despite his shop being broken into and subjected to a failed arson attack. Eventually, he paid the ultimate price. After the killing, a protest movement began, initially a spontaneous demonstration involving 10,000 people taking to the streets, eventually leading to the formation in Sicily of the Addiopizzo movement, which encouraged businesses to resist extortion demands and consumers to buy only from shops on a "pizzo-free" list. Following gestures of support for Grassi's stand that included a five-hour TV special hosted by Maurizio Costanzo and Michele Santoro, two of Italy's best known presenters, the police eventually charged Salvatore Madonia, the son of the head of Palermo's Resuttana crime family, with his murder. 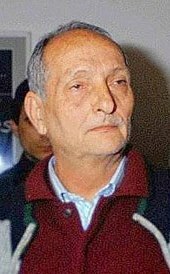 With the help of evidence from a "supergrass", Madonia, his father Francesco and 28 other mobsters were convicted of around 60 murders, including Grassi. His widow, Pina, and two children, Davide and Alice, put up a placard on the spot where Libero was killed, denouncing not only the Mafia but also the business community that refused to support him and the politicians that sat on their hands rather than move to clamp down on illegal activities. Today, anti-Mafia campaigners meet on Via Vittorio Alfieri every August 29 in a show of solidarity. The Palermo authorities have honoured Grassi by giving his name to a technical college and a station on the city's new metro. Happily, visitors to Palermo would normally witness nothing to suggest that the criminal underworld exerts any influence on daily life. 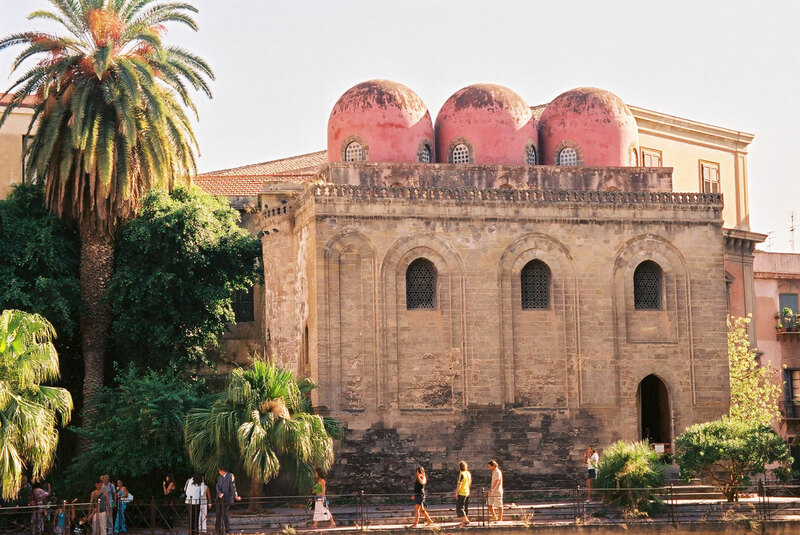 The Sicilian capital, on the northern coast of the island, is a vibrant city with a wealth of beautiful architecture bearing testament to a history of northern European and Arabian influences. The church of San Cataldo on Piazza Bellini is a good example of the fusion of Norman and Arabic architectural styles, having a bell tower typical of those common in northern France but with three spherical red domes on the roof. Although Mount Etna typically has snow on its upper slopes in the winter, away from the mountainous regions Sicily has a particularly mild climate, with daytime temperatures even in December and January usually climbing above 10 degrees Celsius and rarely slipping below five degrees even at night. 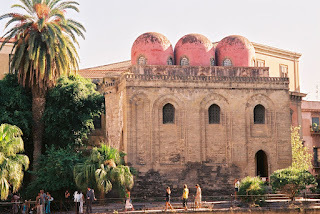 Palermo is the sunniest city in Italy with typical averages of between 10 and 14 hours of sunshine daily between April and September.